MIAMI BEACH - While perhaps not as villainous, a South Florida man is giving Batman enemy Harvey "Two-Face" Dent a real run for his money, at least when it comes to distinct looks. 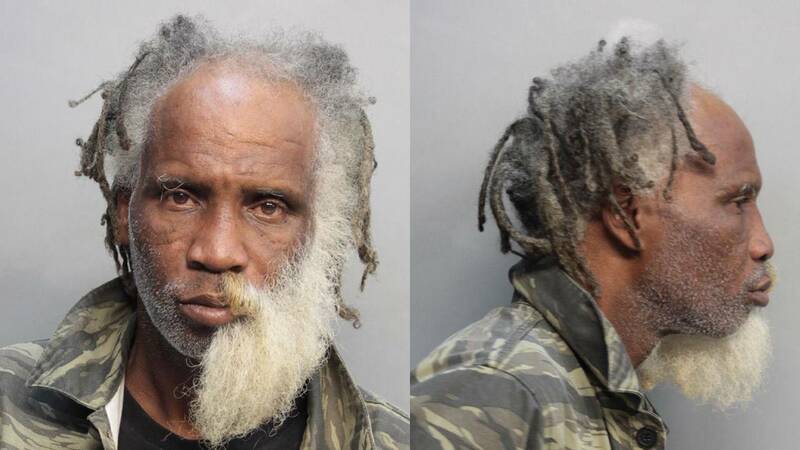 A mug shot out of Miami-Dade County jail shows a man named Kevin Gibson sporting a bushy beard. Well, half a bushy beard. Gibson, 58, was arrested Tuesday night in Miami Beach for drinking in public, possession of more than 20 grams of marijuana and intent to sell. But what has made Gibson really stand out is his unique facial coiffure, as if he were undecided about which way he should go and there was absolutely no gray area. Gibson was being held on $8,000 bond.